In the anarchic space of the World Wide Web, what is the role of a historic site in telling the story of what happened at the place? How do we connect people with that story when they may never physically visit our place? How does the power of place translate into the web environment? These are some questions with which we at Ford’s Theatre grappled as we prepared to redo our website in 2016. Read on to learn about two different approaches we took, and what influenced our thinking, in grappling with those questions. The Web has evolved quite a bit since we launched our Flash-based “Learn the Story” section about the Lincoln Assassination and our site history. That was part of our last website refresh back in 2008. 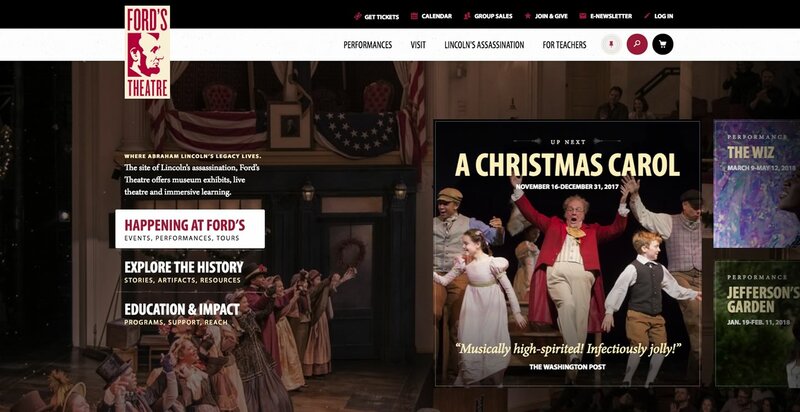 Our previous website design showcasing the Ford's Theatre story. But when it came time to plan the historical content for our main website (www.fords.org), many questions arose. Some of these mirrored the questions you would ask when planning for an exhibition or program on site, but others were unique to the Web. What is our content scope? Since 1893, this has been an open question at Ford’s Theatre. That year, collector Osborn H. Oldroyd opened a Lincoln Museum in the House Where Lincoln Died. Promotional literature noted that this would be a place where visitors to Washington could go to learn about Lincoln, just as they could learn about George Washington at Mount Vernon. Much of the Ford’s Theatre National Historic Site collection comes from Oldroyd and is focused on Lincoln’s life. Various museum exhibitions on site have focused on Lincoln’s life rather than his assassination and death. But the reason that Ford’s Theatre and the Petersen House still stand, when other 19th-century Washington theatre buildings and rowhouses are long-gone, is that Lincoln was assassinated and died here on Tenth Street. On the web, content scope is an even more open question. There is a lot—quite a bit of it reliable—on Lincoln’s life. What could we bring to the table? What is our added value? So, after a series of internal content workshops, we decided that we were not going to try to be the place to learn about Lincoln’s life on the web. We would focus on his assassination. 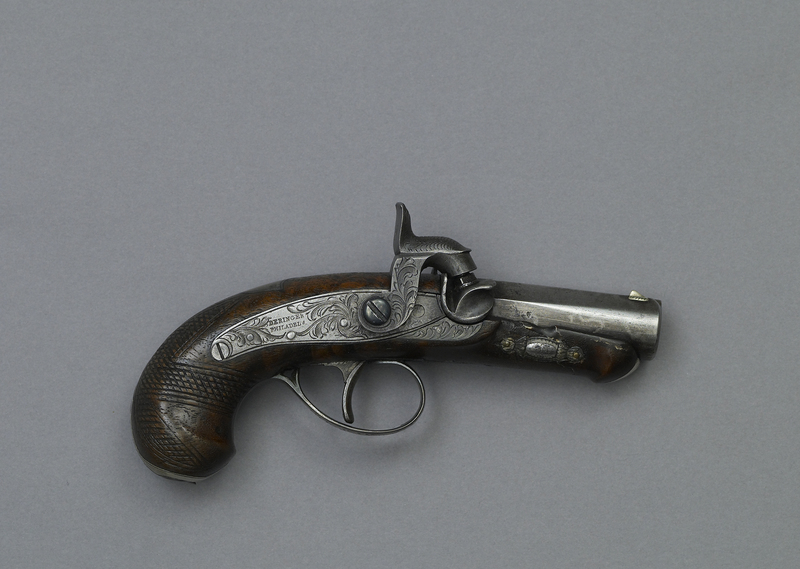 Assassin John Wilkes Booth's pistol, abandoned at the crime scene and kept as evidence in the Lincoln assassination case. Photo by Carol M. Highsmith. As we’ve written about before, seemingly many collections-based websites are built, intentionally or not, for researchers. Since we are a historic site rather than specifically a museum, we weren’t looking to build a collections catalog. We’ve agreed with many in the field, including Nicole Riesenberger, who have questioned the utility of a collections catalog—at least as many are currently built—for constituents besides professional researchers. They offer pieces of stories, rather than a big picture, particularly for a historic site. This liberated us to think more about using the collection for storytelling purposes, rather than simply sharing a catalog of each item. 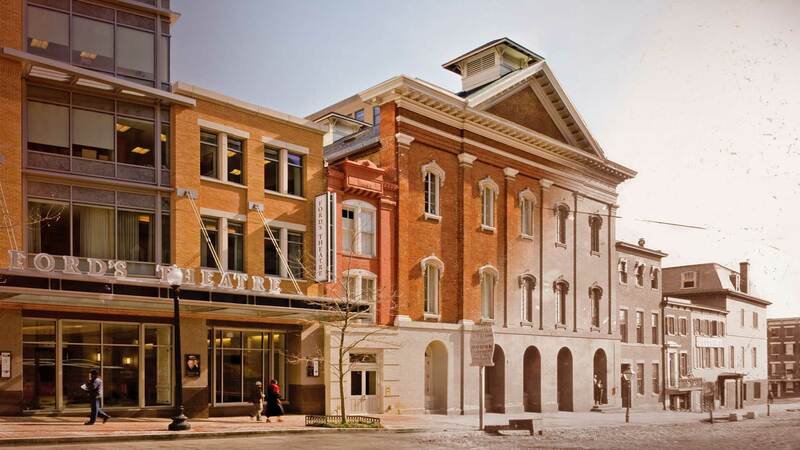 With enhanced assets on the Ford's Theatre website, students across the country and globe may access Ford's Theatre resources. Photo by Trisha Goins. If we aren’t looking to researchers to be our primary audience, who is the primary audience? We decided to prioritize two groups: Those our former colleague Tatum Walker calls the “historically curious”—those who are interested in history broadly but not so much looking for the minutiae an enthusiast might be seeking, and not working in history for a job—as well as students. This told us to focus on the broad strokes of the story, and not to try to tell it all. How can we use the web to its full power? The web is a convergence technology, combining many traditionally separate forms of media into, potentially, one. At the same time, its basis is in text and linking among different texts. Everything else is built upon that infrastructure. How do we make more than just a book on the web? 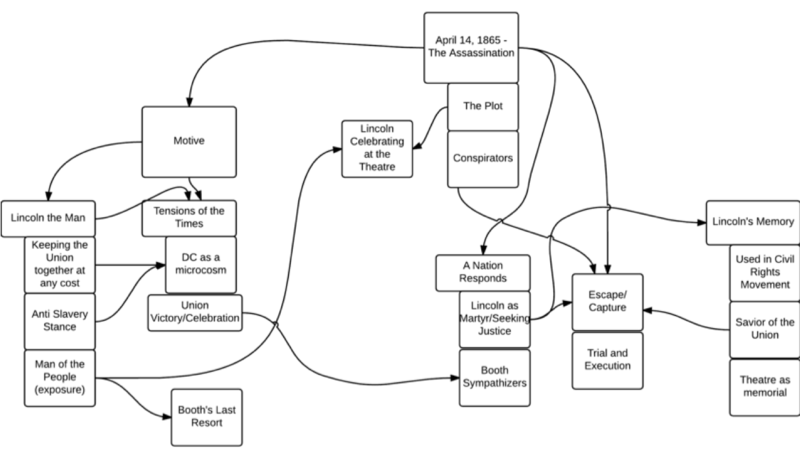 How do we connect various pieces of stories surrounding the Lincoln assassination in a meaningful way? 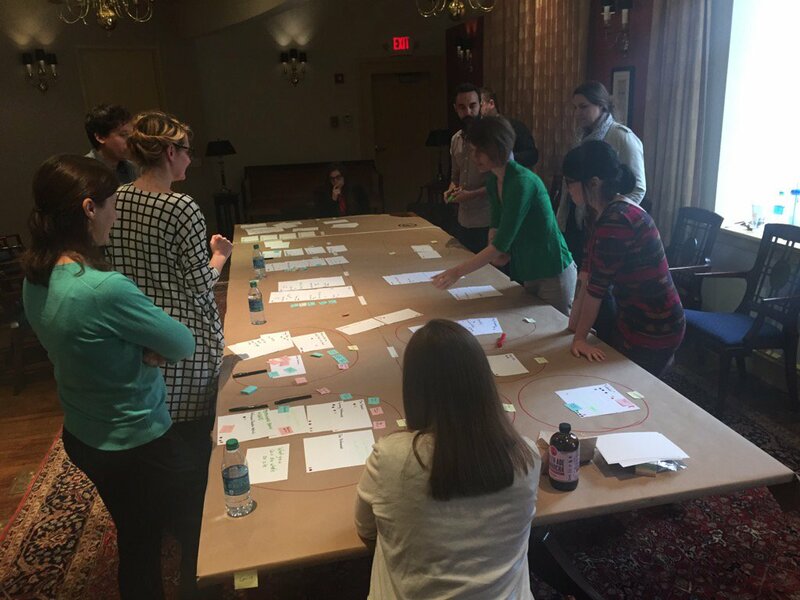 After defining our content scope, we held a workshop trying to break down the bigger story of the Lincoln assassination into smaller components. What is the role of a historic site, versus a collections-based art or history museum, on the web? This remains an open question. While the Ford’s Theatre National Historic Site collection contains many gems, they don’t hold as much meaning outside the context of the events that happened on site. They are special because of their association with the Lincoln assassination, or their association with Lincoln. But although we have a virtual tour of the site on Google Arts & Culture (now with less functionality than it once had), and had a Flash-based virtual tour on our old website, the web really doesn’t offer as much opportunity to build on the power of place. The new website is a blend of old and new, just as this photo from 1865 and today. Image based off photographs by Maxwell MacKenzie and historic image courtesy National Park Service. With these questions in mind, we forged ahead. In our content workshops, we came up with a pen-and-paper web, if you will, to tie pieces of the Lincoln assassination story together. A starter view of how patrons would view elements of the Ford's story by clicking through the website. 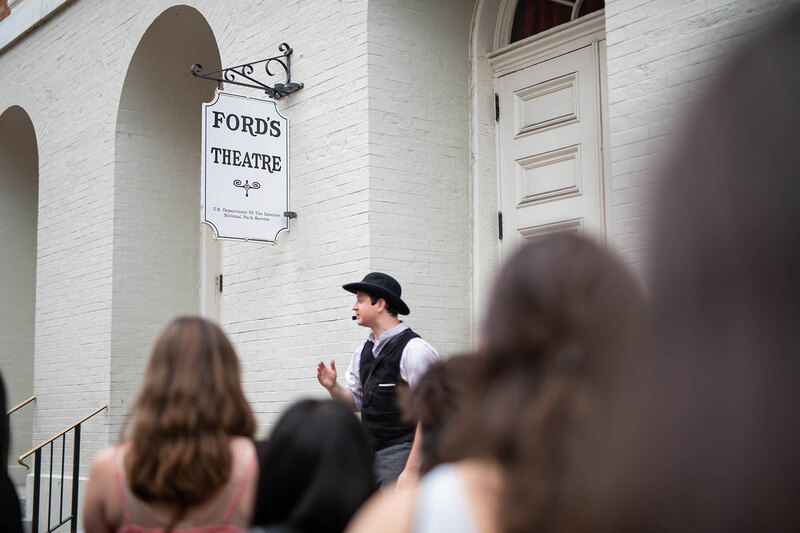 This raises another complication: Ford’s Theatre Society is a multifaceted organization—one that produces theatrical productions from the ground up, is an educational organization, and also partners with the National Park Service to operate Ford’s Theatre National Historic Site. So, www.fords.org needed to reflect all of those identities, serving many functions. It needed to be the place where people could go to learn about shows and buy tickets. It needed to be the place where people could plan their historic site visit. It needed to be a place for teaching resources. This meant that we had to work with our web developer, FastSpot, to serve all of those needs. Ford’s Theatre staff and FastSpot staff plan the new website. Photo by Sarah Jencks. Keeping in mind those constraints, we looked for helpful models of web-based, non-linear storytelling. Some that particularly stuck out were the Riga Ghetto Museum and the National Film Board of Canada and the Guardian’s Seven Deadly Sins feature. 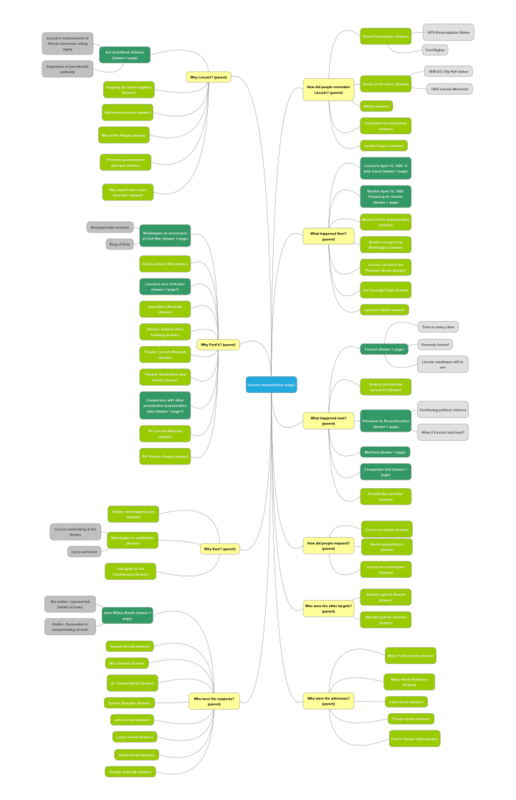 We worked with FastSpot to develop a node-based system like Seven Deadly Sins—below you can see the flowcharts that resulted in trying to relate aspects of the story to each other. Our third try at organizing our website content. Through fall 2016, our team worked fervently to adapt text and find the right images for the website. 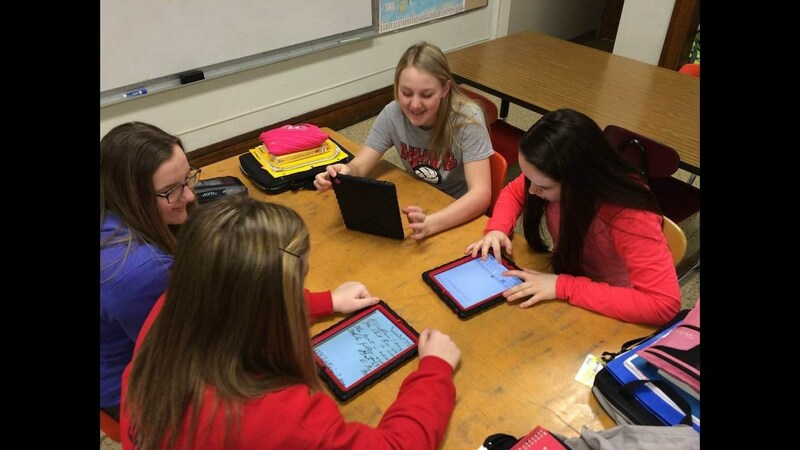 We debated how much text to use, as opposed to using other storytelling media. Finally, on December 6, we launched the website with one main page about the Lincoln assassination. This page included “drawers”—essentially modals that allowed for another layer of information. Other technical issues, particularly mobile integration, caused problems with placing images within text, leading to long text blocks. We created separate artifacts pages, and hatched plans to create more subpages to allow for greater depth of exploration into different aspects of the story. After a few months, our analytics sent a mixed picture. People were typically spending more time on the assassination content page than they were on other pages in our website. But scroll depth was lacking—a solid percentage of users weren’t getting to the meatier portions. The compromise of having the main elements of the story in one place meant that people might not be getting to the other parts. The planning process that we undertook for our student-experience-turned-prototyping project, as well as Kate Haley Goldman’s report on a National Endowment for the Humanities—Lower East Side Tenement Museum Digital Storytelling Workshop (which David attended), helped to clarify this question. Looking at what we did for the website launch, we hit on a couple of these “superpowers.” Digital technology allowed our website to tell a more complex story, some limited participation, and a bit more of a timeline shift—the ability for the “listener” to move back and forth in time—than a linear narrative could. Two of the “superpowers” were not there: Creating a sense of presence or immersion, and multiple voices and diversity. The 2015 home page of Fords.org. Except for virtual tours, the web is not a technology capable of producing a sense of presence or immersion. The most important missing piece, though, was multiple voices. We had adopted a third-person omniscient narrator, a “just the facts, ma’am,” approach. Seemingly every advice piece about web writing says this is best practice, both for skimming for information and for search engine optimization. But much of that advice is based on using the web for marketing. Some are drawn to Ideas. Others are drawn to stories of People. Others are drawn to Objects. Still others are drawn to Physical actions. Some Smithsonian projects are using this framework to design on-site experiences. How does this translate to online experiences? While the physical component is impossible on the web, the other three preferences present interesting ideas on how to build a web-based storytelling experience. So, then, what was missing from our web-based storytelling was the human element. Considering the superpowers of digital age storytelling and IPOP, what if we tried something different—having first-person voices guide the storytelling? This would not be a new idea for the Ford’s Theatre Society. As a company that stages theatrical productions, we’ve long seen how live theatre brings multiple voices and a diversity of viewpoints to the fore. 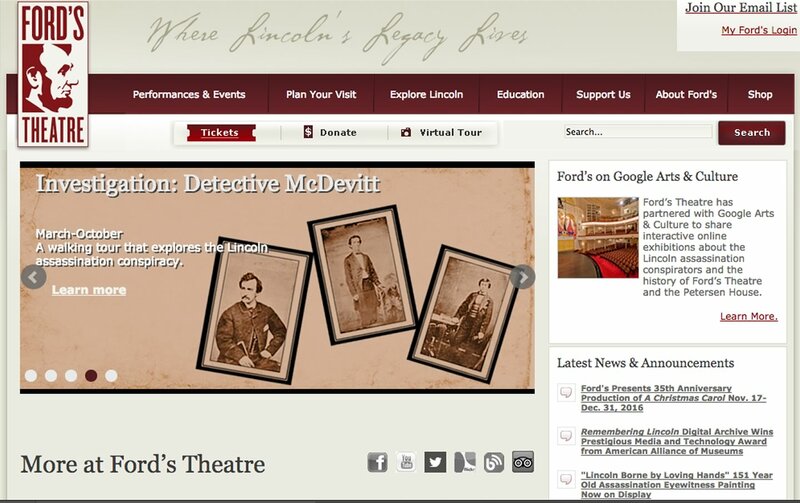 The Ford's "Investigation: Detective McDevitt" tour provides a first-person account of the Lincoln assassination case and hunt for John Wilkes Booth's co-conspirators. Photo of guide Chris Stinson by Damon Bowe Photography..
Our education department integrates point-of-view exercises into both our museum/history education programs and our arts education programs. Our most successful history programs—the one-act play One Destiny and a walking tour based on a real-life Washington police detective investigating the Lincoln assassination—incorporate individual stories and perspectives. 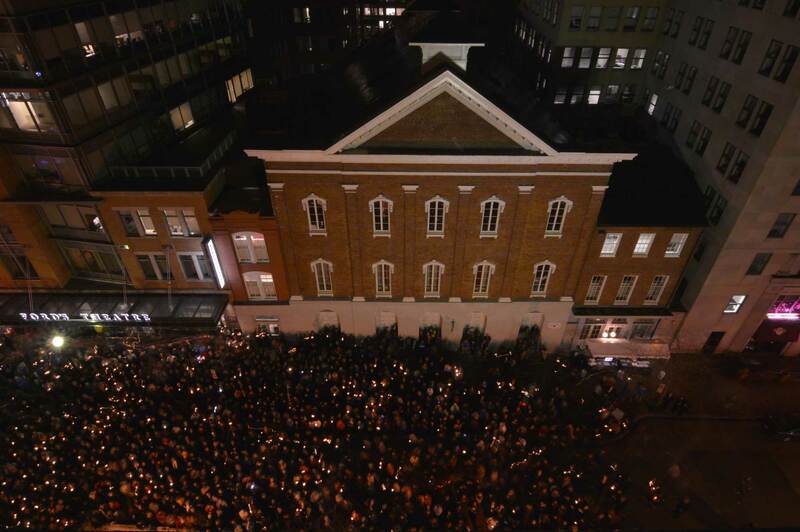 The commemoration we held in 2015 for the 150th anniversary of Lincoln’s assassination incorporated first-person interpretation adapted from letters, newspaper accounts, and other primary sources to help attendees connect with the emotion of the events of April 14, 1865. 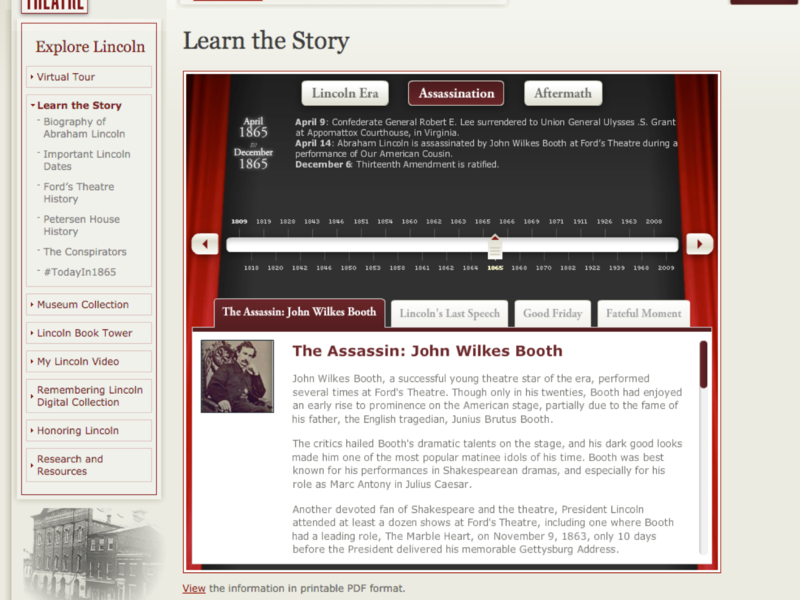 Since the realization, we’ve been working to revise the Lincoln Assassination section of our website. Instead of relying solely on a third-person omniscient narrator, we’re using the voices of people from the time, and objects from the time, to allow users to explore the story in-depth. View of the redesign for www.fords.org. We’re pleased to be able to share the first two pages, on the night of Lincoln’s assassination and the president’s death the next morning. In coming months, we’ll launch more pages about the investigation into the assassination conspiracy—including a deep dive into Booth’s motives for this act of racially-motivated political violence—as well as the immediate aftermath and long-term impact of the assassination. All of these pages are constructed with currently-existing website components—we haven’t yet created any new components specifically for web-based storytelling. Each page begins with a short, third-person narrative. Then, the pages will include different pieces, like annotated images of primary sources, such as lithographs, photos, and collages of objects, from the time. The details of the story will come out through quotations from primary sources, linked to full versions of these accounts. We hope that this website can serve as a means of exploring nonlinear historical storytelling on the Web. Special thanks to the following for their work helping to conceptualize and execute the new vision for Lincoln assassination content on www.fords.org: Director of Education and Interpretation Sarah Jencks, Director of Communications and Digital Strategy Liza Lorenz, Digital Graphic Designer Andrea Bowman, former Museum Coordinator Aysha Preston, interns James Santos, Kia Hunter, Ashley Johnson, Aislinn Rubinic, Ian Robbins. David McKenzie is Associate Director of Interpretive Resources at Ford’s Theatre Society who works to connect people today with the people, places and things of the past. He also is a Ph.D. candidate in history at George Mason University and holds a M.A. in Museum Studies from The George Washington University. Prior to coming to Ford’s in 2013, he worked in a broad-ranging interpretive job at the Jewish Historical Society of Greater Washington, as a content developer at the exhibition firm The Design Minds, Inc., and began his career as a front-line history interpreter at the Alamo. Alysse Bortolotto is former Website Manager. She is now a professional consultant.